A much-awaited change has now come to New Jersey. 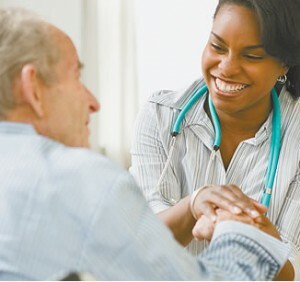 In the past, two programs related to elder care determined eligibility in New Jersey: the Medicaid Only program and the Medically Needy program. While the Medically Needy program only provided payment for care in a nursing home, the Medicaid Only program pays for long-term care in an assisted living facility, at home, or any nursing home. The Medicaid Only program, however, has an income cap of 300% of federal benefit rates for SSI. The Medically Needy program, however, has no income cap. As of December 1, however, the Medically Needy program is being eliminated. The new program in New Jersey pays for long-term care at home, in an assisted living residence, or in a nursing home. although there is no income cap. For this program, any applicant whose monthly income is higher than $2,163 must put income above that level into a trust known as a Miller Trust. The biggest impact from this change allows many more people who were previously unable to qualify for long-term Medicaid in an assisted living residence or their home because their income exceeded the cap are now able to qualify for benefits. Miller Trusts can be complicated and you should consult with your New Jersey estate planning attorney for more details about your eligibility and the structure of the trust. For more details about Miller Trusts, contact our offices at 732 –521 – 9455.